Biggar is an ancient settlement on the northern flank of the Southern Uplands. Today this busy market town serves a large rural area. It is made busier still by being bisected by the A702, one of the main routes from Edinburgh to south-west Scotland and north-west England. 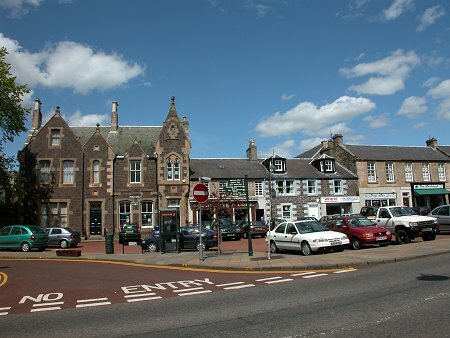 Biggar has probably been settled since prehistoric times. 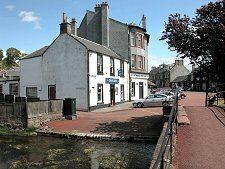 The A702 passes through the village on the line of a Roman Road linking the Clyde Valley to their fort at Musselburgh and the Romans were probably the first to bridge the Biggar Burn here. 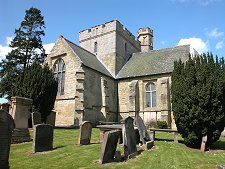 In 1164 Biggar Kirk was built in stone on a site just to the north of the centre of the town, replacing a much earlier wooden chapel. It was in turn replaced by the current Biggar Kirk in 1546. In the 1100s a motte and bailey castle was built at Biggar, with another at nearby Coulter Motte, and in the following century the Biggar Burn was bridged: possibly using the earlier Roman bridge foundations. 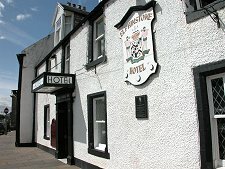 The town grew steadily through the succeeding centuries, with a school established in 1608 and a post office in 1715. Mills and a brewery followed, and a branch line railway reached Biggar in 1860 despite its relatively high altitude of 215m. The railway closed to passengers in 1953, and to freight in 1966. Earlier established and longer lasting than the railway was Biggar Gasworks. This started life in 1836 and produced gas from coal for lighting, heating and cooking. Natural gas replaced coal gas from the late 1960s and gas works the length and breadth of the UK were closed and dismantled. But not in Biggar, where the gasworks was preserved as a museum. 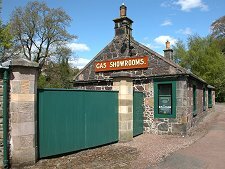 The Biggar Gasworks Museum is just one of a the excellent museums in and around Biggar. 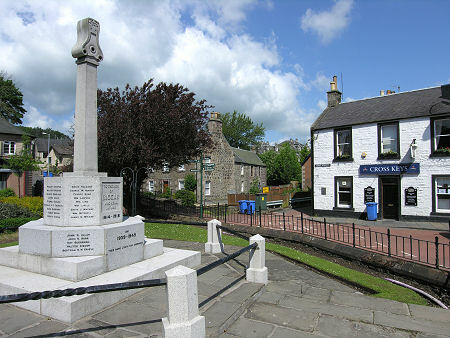 Until 2014 the focus was the Moat Park Heritage Centre, opposite Biggar Kirk. 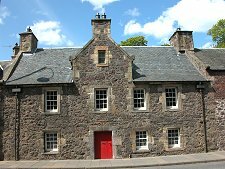 Like the Gladstone Court Museum, this has closed and been replaced by the truly outstanding Biggar & Upper Clydesdale Museum, which opened towards the top end of the High Street in the summer of 2015. 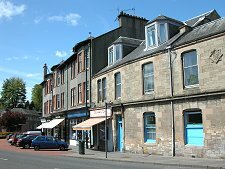 Biggar today remains a very attractive town whose linear layout still follows the course of the Roman road and the modern A702. And at its centre lies the market place, long, broad and gently climbing as you move from west to east. The town is home to many small locally-run shops, making browsing a more interesting experience than in the identikit high streets all too common elsewhere. 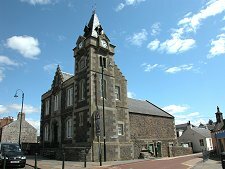 It is also home to a range of hotels, cafes, pubs and accommodation providers which make Biggar an ideal candidate as a touring base for southern Scotland.